The animals featured here are some of the hundreds who have treatable but costly illnesses and injuries that Homeward Trails rescues every year. We have limited resources and must make life and death decisions weekly. Too often, these animals are left behind in shelters simply due to cost. We need extra help to take in animals whose care will cost more and for animals who may be with us longer as they recover. Your sponsorship of an animal will save a life in real time. Every donation helps save a life. Please, consider a tax-deductible donation today to help these animals. They deserve a 2nd chance at life. And together, we can give them that. First, she was abandoned. Now, her kidneys are failing. Don’t let this be the end for senior cat Sugar. At 13-years-old, Sugar was left homeless in her golden years. Her owner parted ways with this lovely, affectionate cat when he moved to a new apartment which allowed only one cat. Sugar did not make the cut, so he decided to abandon Sugar and dropped her at a rural shelter. Can you imagine living the majority of your life with a loving family only to be left behind as a senior? We gladly took in Sugar, as she’s eager to find a new human who will cherish her. She wants to love and be loved. Simple recipe for a happy cat life. Unexpectedly, we noticed Sugar displaying some concerning signs. We rushed her to the vet, and it appears her kidneys may be failing. Her senior age makes this medical situation even more dire, and we need to get more tests in order to help her. This will involve an ultrasound, possible urine culture, and more. She needs to spend a full day at the vet, and that comes with a big price tag. PLEASE don’t let this be the end for Sugar! Any donation amount will truly make a difference to get this girl the care she needs and deserves. Kitten season can be overwhelming as it is, but add in serious illness and mounting vet bills, and we know we need to ask for help. We have been working to rescue as many kittens as possible, but some in our care have developed a serious virus. This virus is an especially ugly one – causing ulcers in the kittens’ mouths and throats. The ulcers cause unimaginable pain and uncontrollable drooling – keeping the kittens from being able to eat for weeks while the virus runs its course. 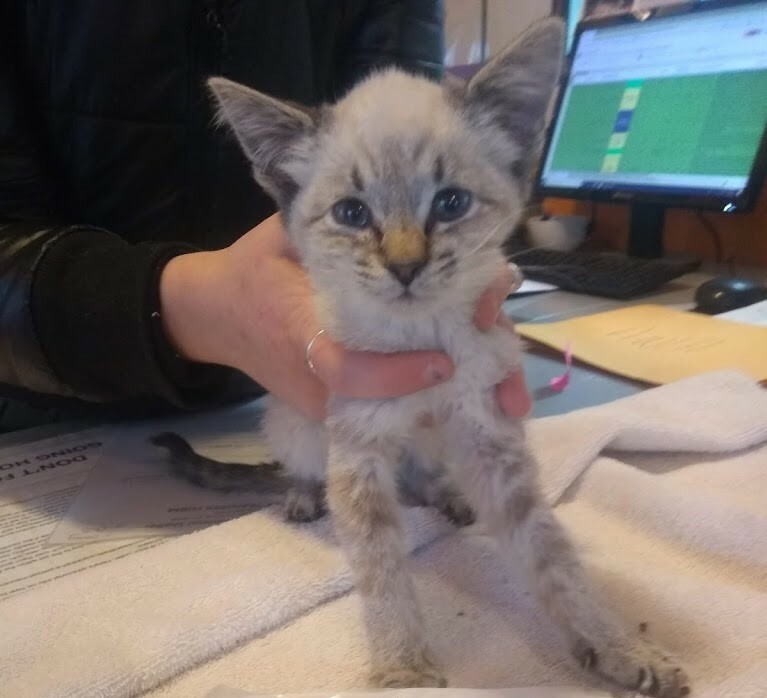 With the help of our vet, we are working to manage their pain and provide supportive but this help is expensive with most kittens requiring hospitalization and critical care. Many require esophageal or nasal feeding tubes. One may lose her vision to ulcer in her eyes. Meet Orion – this 7 month old kitten has an ulcer covering over half of his tongue. He wants to eat, but it’s just too painful. We are providing IV pain meds and antibiotics to ward off an infection. He can beat this, but he needs the vet’s critical 24×7 help. 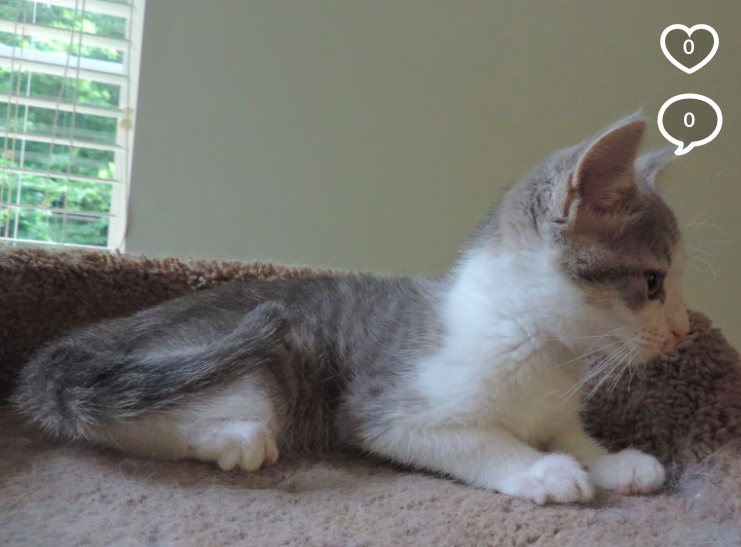 Meet Birdie – a sweet little kitten who came to us very sick. She had ulcers all over her tongue and down her throat. The nasal feeding tube that had been placed wasn’t sufficient so an esophageal rube (e-tube) was inserted several weeks ago. She is back to eating on her own, but the ulcers have moved to her eye. She’s undergone several visits to the vet and it’s unknown whether the eye will be able to be saved. She’s one tough little kitten, but she’s got a long road in front of her. Jill needs our help once again! She was rescued over a year ago from life on a chain and despite her awful start, she had proven to be the sweetest girl ever! 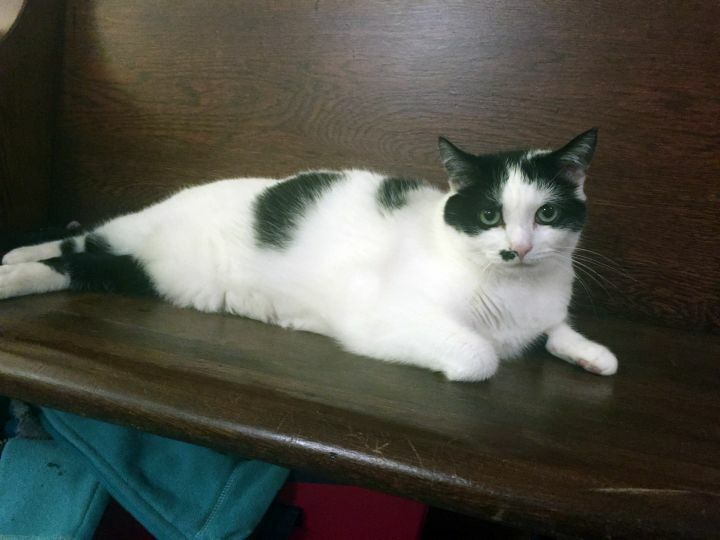 Unfortunately, Jill’s adopter fell ill and thus Jill was recently returned to us. Jill has been struggling with health issues for a few months – and we really need to help her get better. The problem is that we don’t know exactly what is wrong! She is having to use the bathroom many times throughout the day, to the point where she cannot settle and rest. 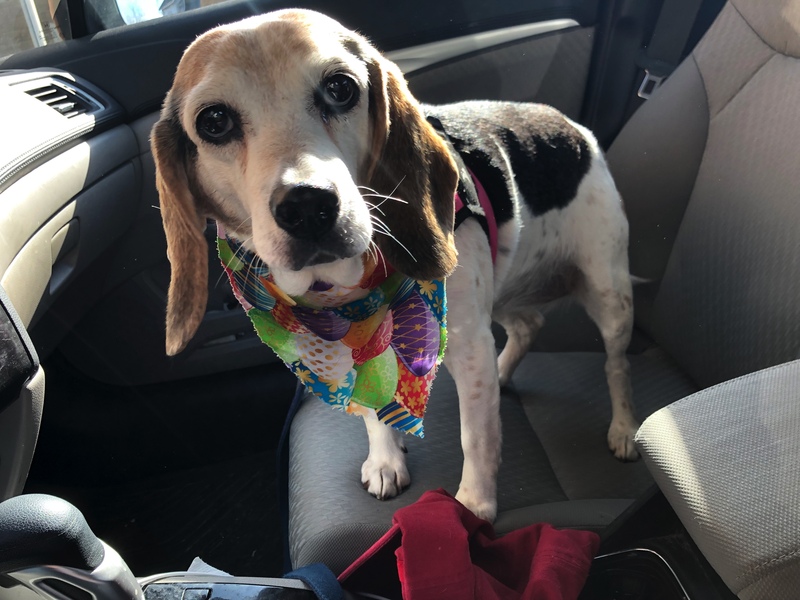 Jill has undergone a bloodwork, urinalysis, and ultrasound. Her bloodwork indicates incredibly high platelet counts. The next step is some very specific tests to rule out certain diseases. These tests are expensive and her bills are already piling up. We really need help in order to get to the bottom of this and get Jill feeling better. Please help us get her better! Blackberry is a super sweet and lovely kitty! She’s been losing hair on her back and we think she has environmental allergies. We need to get her allergy testing to see if she’ll need allergy medicines to get her feeling comfortable again for her hair to grow back. Imagine feeling itchy non stop. Every dollar you donate will help her feel better. She’ll send you many purrs of thanks! 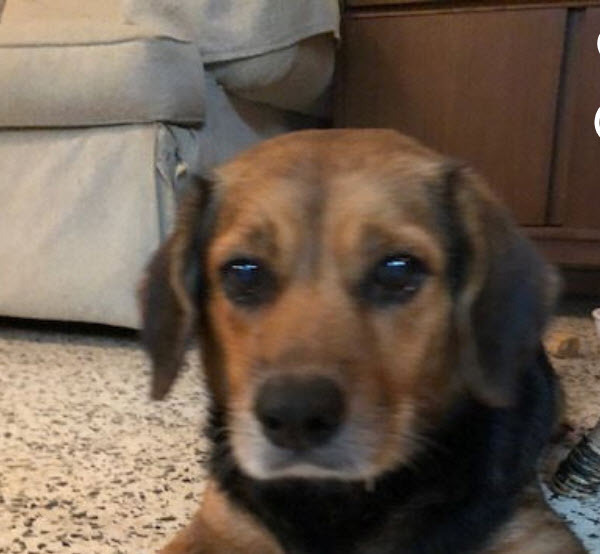 Penny was rescued from Puerto Rico on the side of a highway. It looked like she was hit by a car, but turned out to be an old injury. Her leg needed to be amputated and she is now recovering from surgery. Please help us cover this unexpected medical bill! 16 years ago, a young girl found a stray kitten and brought her home to be the family pet. As the children grew up and moved out, Misty remained with the parents. Now, the family is moving across the country and cannot take Misty with them. This declawed senior cat needs a new family after 16 years of home living. 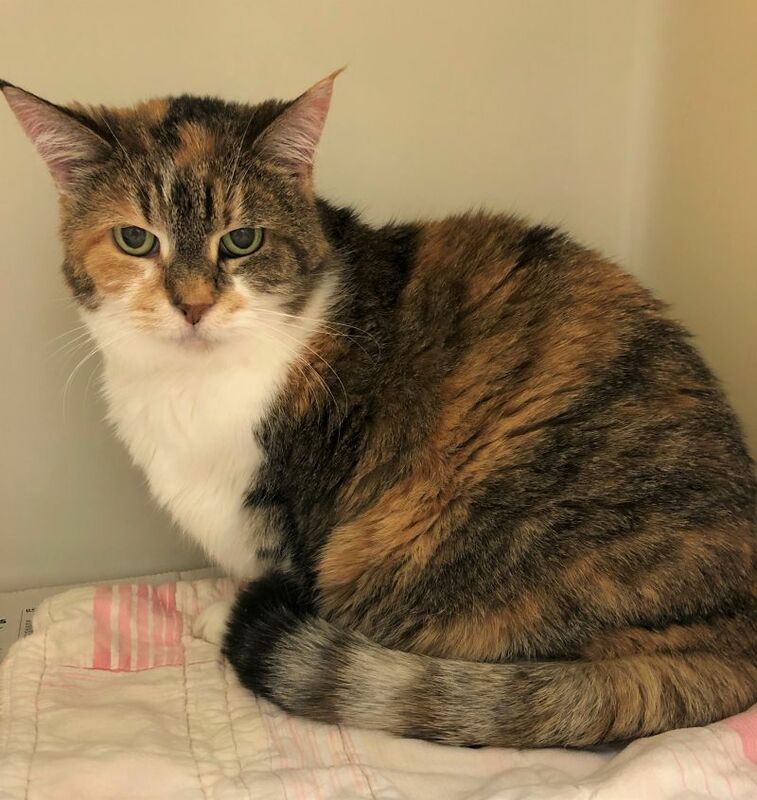 Senior cats have greater expenses related to their care, and we need to make sure we can provide all that Misty deserves! This sweet girl absolutely adores human affection. Misty loves to lay on laps or behind your head. Please help us take care of Misty’s financial needs, so we can focus on getting her to a new forever home. Kitty Daphne has a health problem mystery. This lovely young adult started peeing outside of her litterbox. We discovered that the gritty looking substance in her urine is bits of bladder cells. We think that Daphne is suffering from inflammation of her urinary tract. She underwent testing and has been put on prednisone which seems to be helping. Her urine has cleared up somewhat and we are hoping for continued improvement. She still needs regular check ups and blood work. Our fingers are crossed that she will continue to improve. For now she remains under vet care. Please make a donation toward this medical fund so we can help this girl get well. 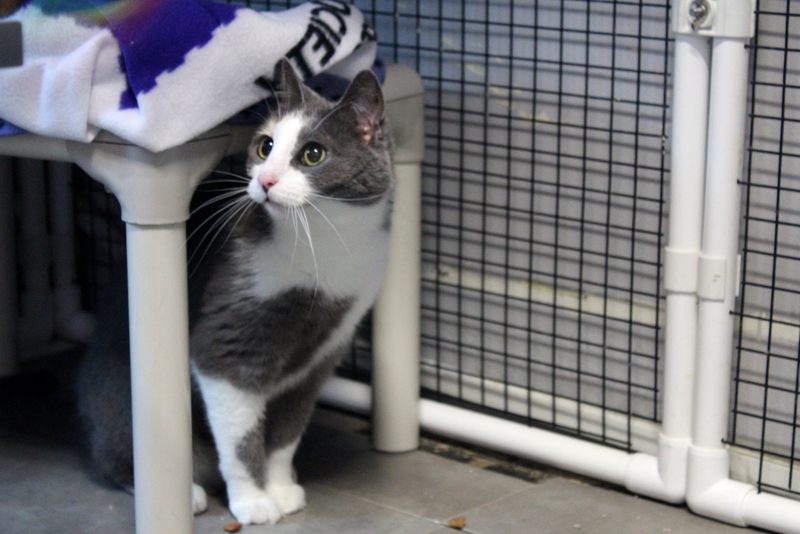 Perseus is a sweet kitty who came to Homeward Trails from a rural shelter. 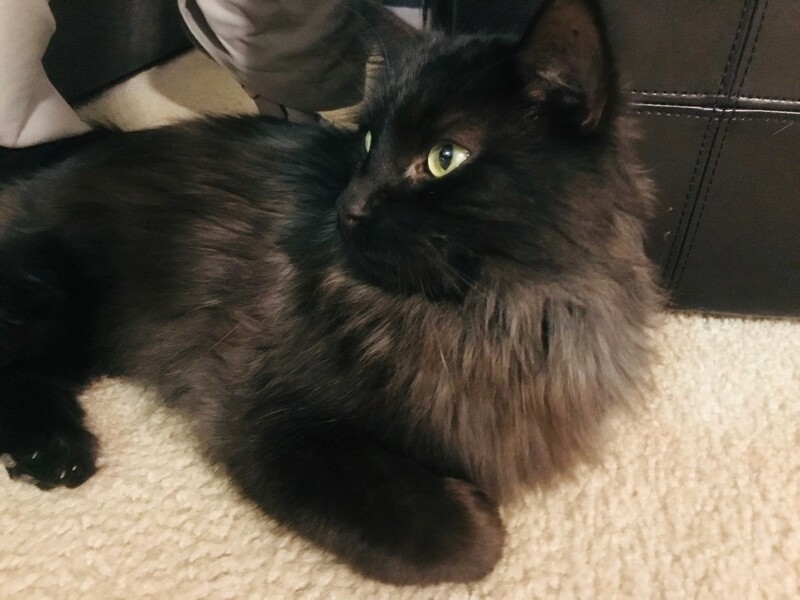 Shortly after arriving to the cat café, Perseus suffered a seizure, possibly due to the overexcitement of the new environment with so many cats and people. He was rushed to the animal hospital for emergency care. It was assessed that he had an elevated temperature and blood pressure which likely led to the seizure. He is on the mend and has suffered no other seizures since the one episode but he does have a vet bill of $300. 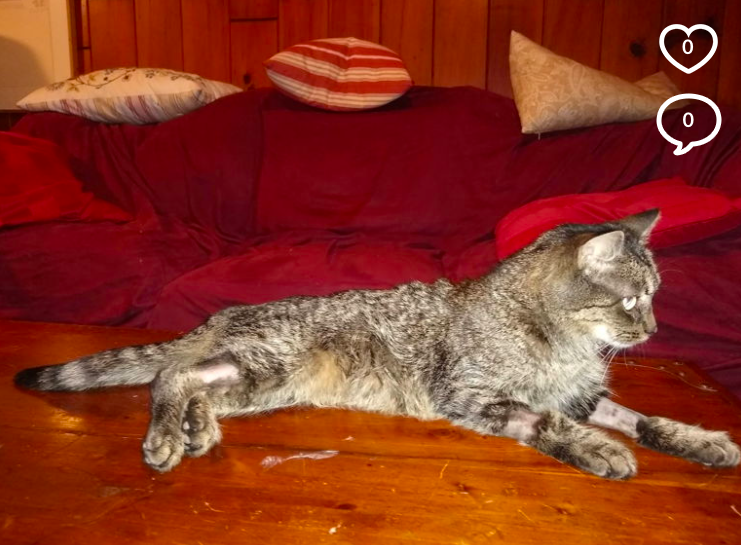 Please help us cover his vet bill so we can help other deserving kitties like Perseus who are in need. Calina is a sweet kitty who came to Homeward Trails from a rural shelter. During an adoption event she went into distress and was rushed to the animal hospital for emergency care. She was diagnosed with pulmonary edema and given life saving treatment as an inpatient for several days which resulted in vet bills of $850. 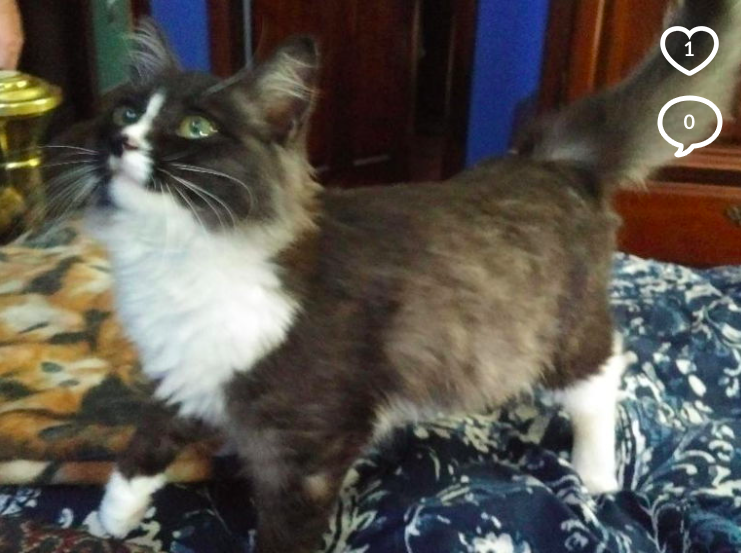 She fully recovered from her ordeal but has vetting costs that need to be covered so that we can continue to help other deserving felines in need. Pookie is a sweet cat who came to Homeward Trails from a rural rescue. While residing at the pet store one of the employees noticed that she was extremely lethargic and in distress. We rushed her to the animal hospital for emergency care. 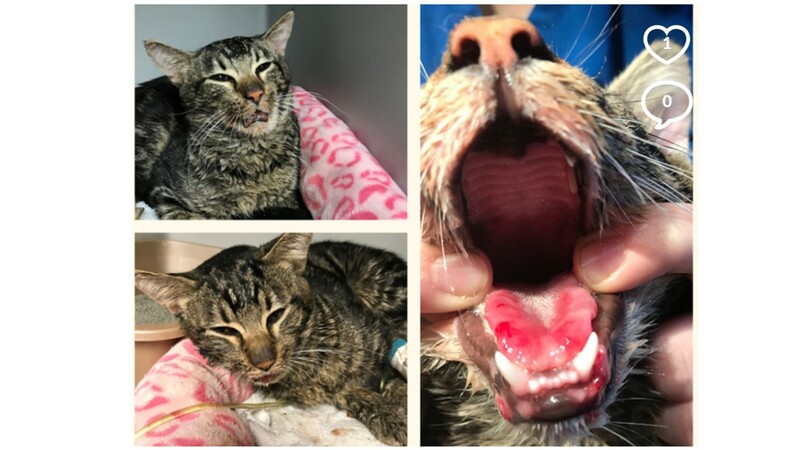 She was diagnosed with a dangerously high sodium level and given life saving treatment to slowly and safely reduce that level as an inpatient for several days which resulted in vet bills of $2200. She fully recovered but we still have to cover her emergency vetting costs in order to continue helping other animals in distress. Soon after sweet Noel came to Homeward Trails from a rural shelter, his foster noticed that he was not eating well. She tried a variety of food to entice him and even spoon fed him. Despite her best efforts, Noel would not eat so he went to the vet for an assessment. At first he was put on IV fluids and monitored. Later X-rays revealed a blockage and possible foreign object in his intestinal tract. Noel underwent exploratory surgery to remove the blockage which turned out to be a hard mass inside of him. After the surgery he spent several more days at the vet for monitoring and supportive care. He has since returned to his foster home where he is recovering and has regained his appetite and weight. 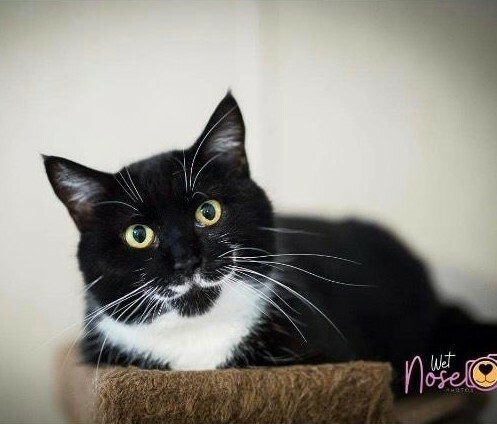 Donations towards Noel’s surgery and in-patient care help us to rescue other cats in need. Sweet little Eve came to Homeward Trails from a rural shelter. The evening she arrived she was already showing signs of distress and we started providing her subcutaneous fluids and syringe feeding. She perked up for a while and then began to deteriorate again. When her condition worsened, she was immediately taken to a vet and given IV fluids and in patient supportive care. The vet advised that she be taken to an emergency clinic where she could be monitored around the clock. The vet costs for this kitten were unexpected. Any donations towards Eve’s care would be appreciated and help us continue to save other kittens in need.